Doctors are often confronted with difficult decisions and must use the most effective means of treatment available considering the unique circumstances of each patient. Vacuum assisted delivery is often considered when delivery is difficult or labor is prolonged as a last resort before cesarean section. Improper use of vacuum equipment or failure to monitor the newborn child for complications can cause serious injure and constitutes medical malpractice. Rosenfeld Injury Lawyers LLC is a medical malpractice law firm that represents those who have been harmed due to the negligent acts of other people and our birth injury lawyers understand the emotional pain and financial burden that accompanies any injury to an infant during delivery. Many of the injuries caused by vacuum extraction are due to human error and improper or inadequate training. 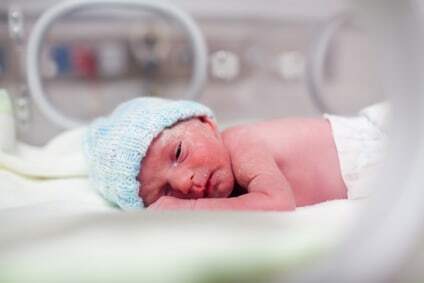 Swelling or some hemorrhaging is to be expected due to the exertion of force on the child’s head through both suction and pressure from the mother’s cervix during birth, but more severe injuries can result from the improper usage of delivery equipment. Injuries caused by vacuum extraction include the following. The decision to perform a vacuum assisted delivery and the failure to properly assess and diagnose any complications or conditions after birth may influence the type and severity of injuries sustained. The majority of properly performed vacuum extractions result in minor injuries that resolve themselves with proper monitoring to ensure the child’s bilirubin levels and red blood cell count remain normal. More severe injuries such as fractures are indicators that the physician performing the procedure may have caused the injuries through improper use of the equipment. In order to pursue a lawsuit for medical malpractice, it must be proven that the attending doctor failed to do what any other reasonable doctor would have done under identical circumstances. Proving deviation from the standard of care is the most difficult aspect of a malpractice case and it is important that you are represented by a birth injury lawyer who has prior success with similar cases. The attorneys at Rosenfeld Injury Lawyers LLC have access to multiple experts in the medical field who can examine your case and offer compelling testimony not only to support your claim but to accurately determine the value of your case. If your child was injured during birth, contact us today to schedule a free consultation with an attorney. We serve clients throughout the entire state of Illinois and if you are not located near one of our offices in the greater Chicago area, we will be able to come to you in order to review the details of your case. Our lawyers work on a contingency basis, which means you will never be responsible for payment unless we are able to win or settle your lawsuit and collect damages on your behalf.